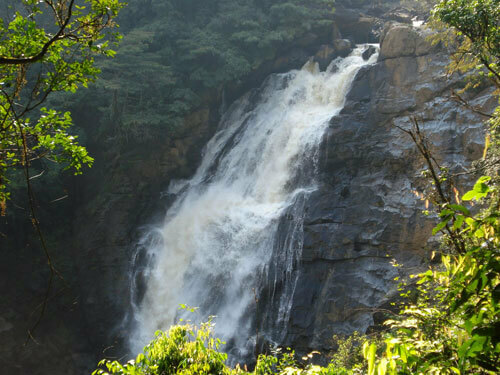 Uttara Kannada District is well known for its natural beauty and unexplored treasures. 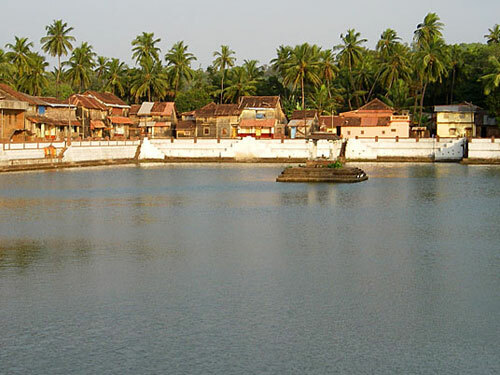 There are many places near Bakula Home Stay which are rich in natural beauty and of spiritual significance. You can go for a short trip nearby and admire the natural treasures. We shall arrange for your transportation on request. 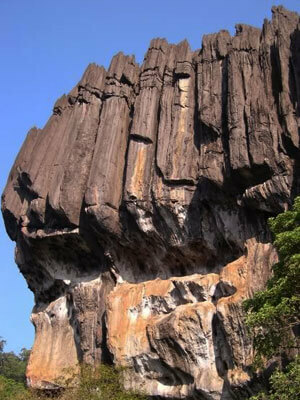 Yana is a village in the Uttara Kannada district of Karnataka, India that is known for the unusual rock formations in its vicinity. 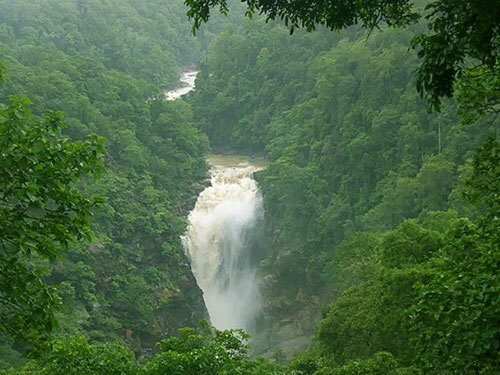 It is located in the Sahyadri mountain range of the Western Ghats, 40 kilometers (25 mi) from Sirsi, Uttara Kannada. 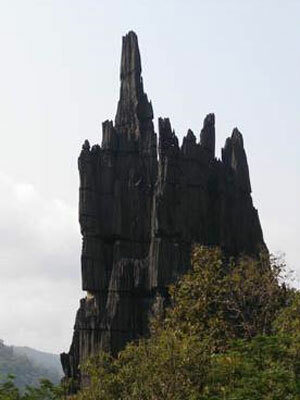 The two unique rock outcrops near the village are a tourist attraction and a place for trekking, approachable by just 5 minutes walk. 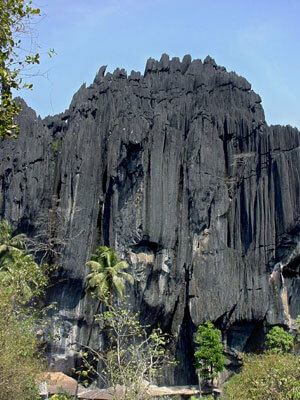 Yana is famous for these two massive rock outcrops known as the Bhairaveshwara Shikhara and the Mohini Shikhara (“Shikhara” means “hill”). 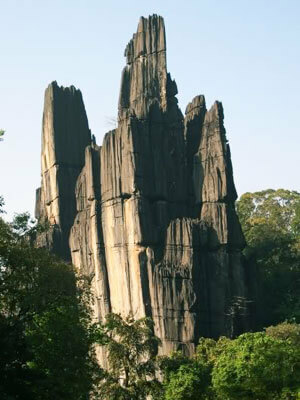 The huge rocks are composed of solid black, crystalline limestone. Bhairaveshwara Shikhara is 120 meters (390 ft) in height, while the Mohini Shikhara, which is smaller, is 90 meters (300 ft) in height. Yana is also well known as a pilgrimage center because of the cave temple below the Bhairaveshwara Shikhara where a Swayambhu (“self-manifested”, or “that which is created by its own accord”) linga has been formed. Water drips from the roof over the linga, adding to the sanctity of the place. 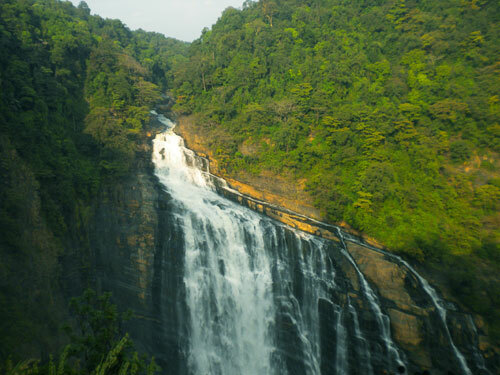 Well known for Trekking, dense forest, various natural treasures. 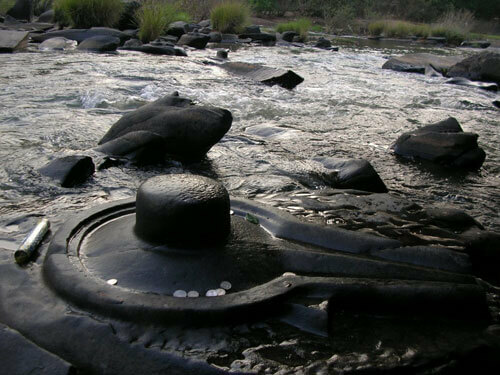 Sahasralinga is a pilgrim place ideal for a picnic where you can observe hundreds of Shiva Lingas, carved on the rocks in the river ‘Shalmala’. 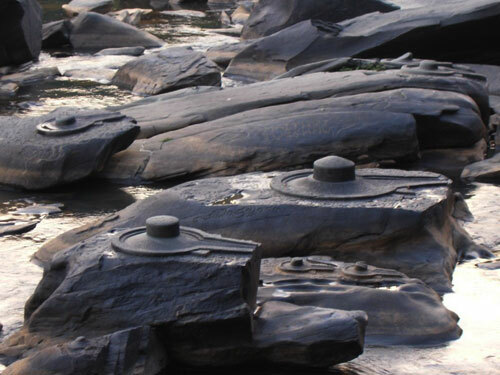 Since the number of such carvings is uncountable, the place gets the name Sahasra Linga (Thousands of Lingas). 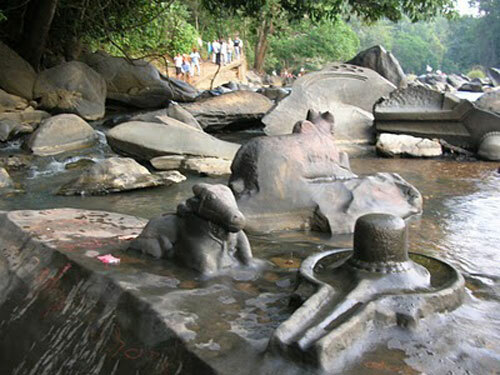 Every year on the day of ‘Shivaratri’ hundreds of people visit this place to worship Lord Shiva. 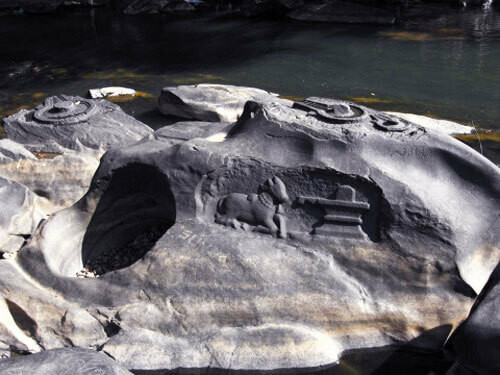 When the water level is not high enough you can actually see all those carvings. Best time would winter and early summer. Well known for Trekking, dense forest. 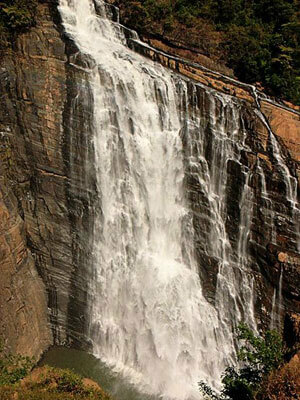 Unchalli Falls also called Lushington Falls, is a waterfall created by a 381 ft drop in the Aghanashini river. 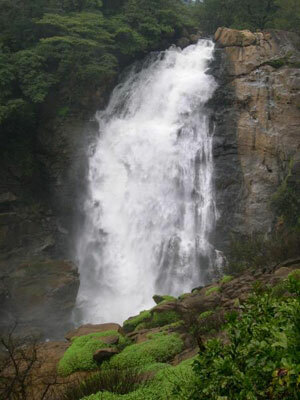 The falls is located midst dense forest and the area is covered with steep hill range. Here the river makes a cavalcade of waterfalls and eventually leaps into a steep valley to form a spectacular, picturesque waterfall. 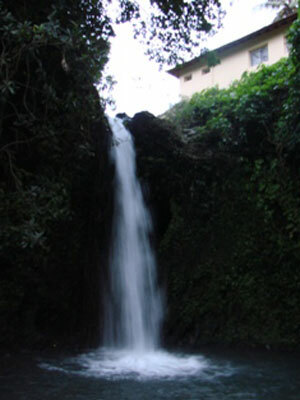 The falls are sometimes called Keppa Joga because of the deafening sound they make. 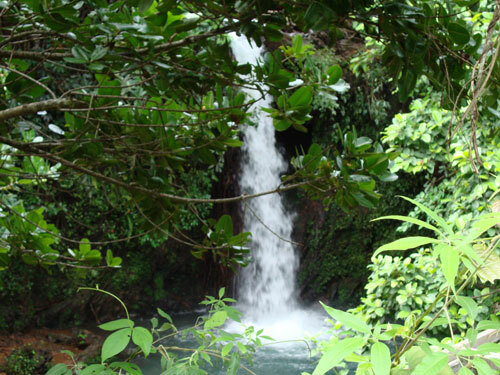 The bottom of the falls can be reached through the dense and steep forest, which will be a rare and thrilling experience. 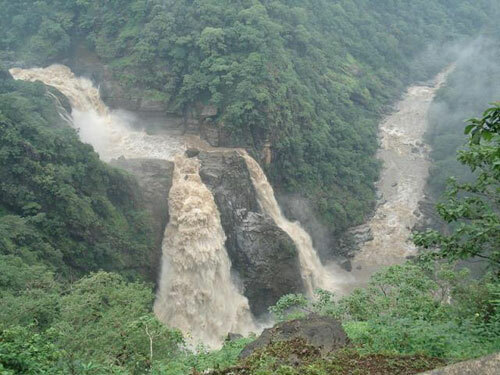 Well known for Dense Forest, Beautiful Waterfall, Trekking. 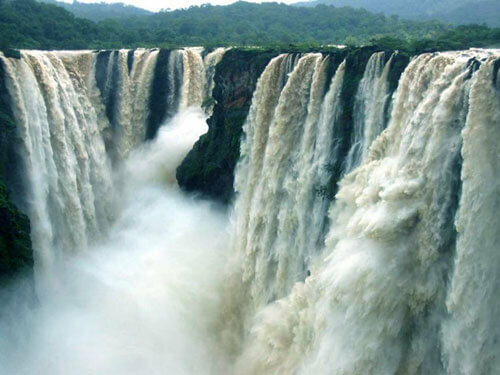 Shivaganga Falls is made by Shalmala River, which jumps into a valley of 74 meters covered with thick evergreen flora and presents a charming view. The river valley presents a captivating view of greenery. 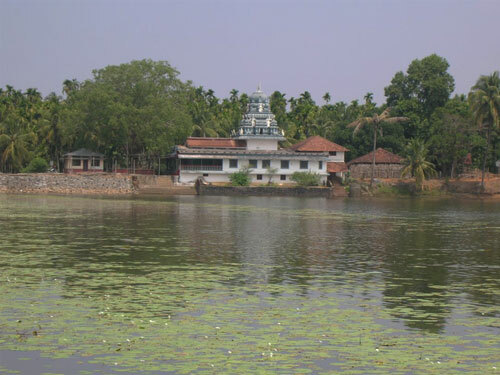 A little further from the falls is an island locally called Ganeshpal because of a small Ganesh statue. * Raja (King): Named so because of its apparently ‘dignified’ and ‘serene’ fall. * Roarer: This stream appears out of a mass of rocks, making a tremendous amount of noise. * Rocket: Consists of a large volume of water streaming out of a small opening at a very high speed. * Rani (Queen), also called Lady: The stream has a winding, twisting trajectory, said to resemble the movements of a female dancer. 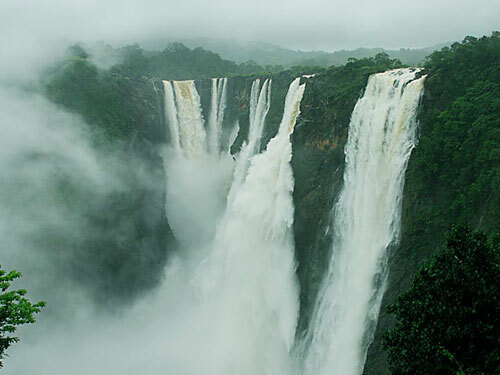 Associated with the waterfall is the nearby Linganmakki Dam across river Sharavathi. The power station has been operational since 1948 and is of 120 MW capacity, one of the largest hydroelectric stations in India at that time and a small source of electric power for Karnataka now. 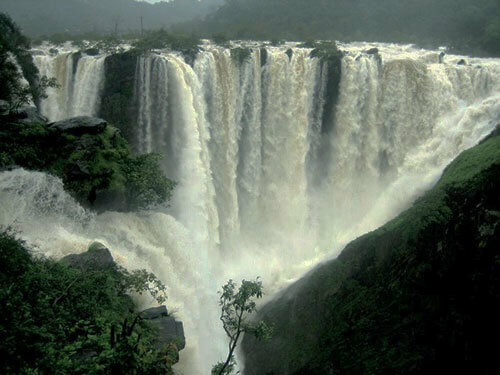 Well known for Dense Forest, Beautiful Waterfall, Dam. 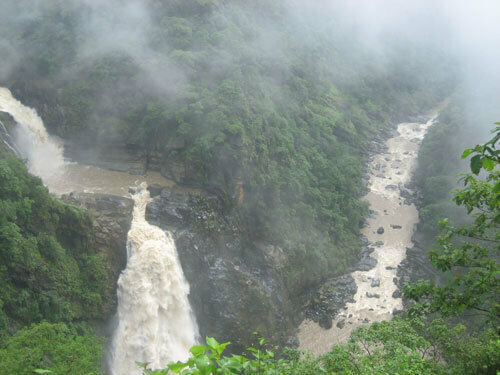 Magod Falls is made by Bedti river jumping in to a depth of 650 ft. The fall can be watched from a viewpoint which is at quite a distance or you can choose to reach the bottom of the fall. There are two more places nearby this fall. 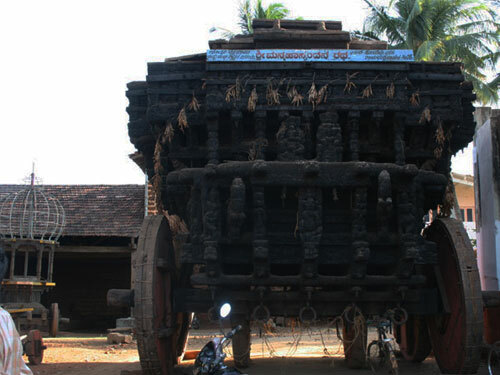 “Kavadi Kere” which covers around 60 acres of land and “Jenukallu Gudda”. 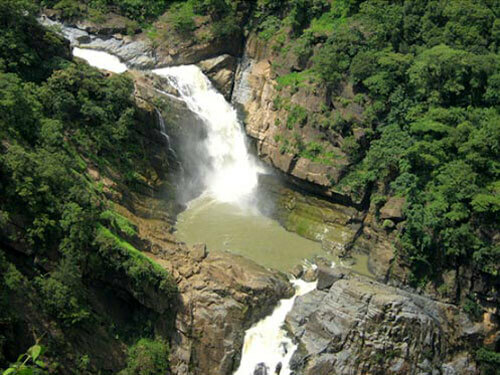 It offers to break taking a view of the valley covered with forests and majestically flowing River Bedti. The viewpoint is atop a sheer cliff of 450 meters high. This is an awesome place for a beautiful sunset. 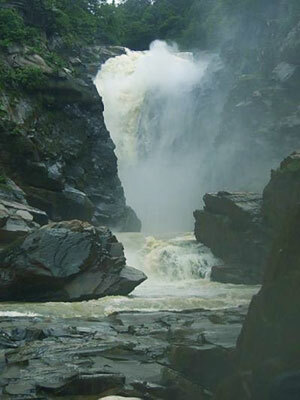 Well known for Dense Forest, Beautiful Waterfall, Trekking, Sunset point. 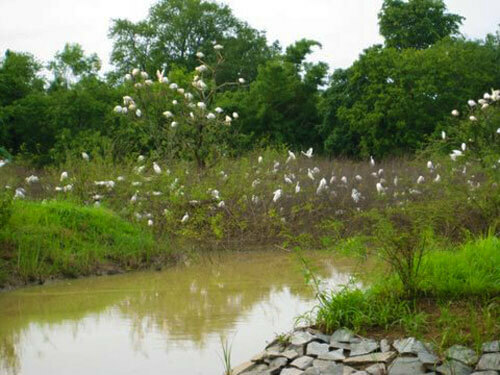 Gudavi is a bird sanctuary located near Sorab taluk. One can observe various kinds of birds during June to December which migrate to this place for breeding. The Gudavi Bird Sanctuary is spread over an area of 73.68 hectares and is one of the five best bird sanctuaries of Karnataka. 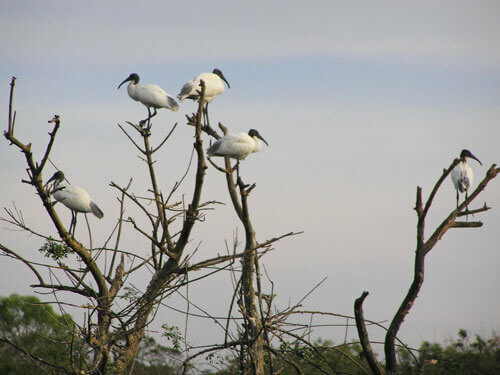 According to the survey done in 1993, more than 191 different types of birds were recorded at Gudavi Bird Sanctuary. A natural lake of Gudavi and the large canopy of trees serves as a shelter to the various species of birds. Some of the important birds that can be found are Stone Bill, Waterfowl, White-headed crane, Night heron, Gray heron etc. This place is truly a heaven for bird lovers. Murudeshwara is a town in the Bhatkal Taluk of Uttara Kannada district in the state of Karnataka, India. “Murudeshwara” is another name of the Hindu god Shiva. Famous for the world’s tallest Shiva statue, this beach town lies on the coast of the Arabian Sea and is also famous for the Murudeshwara Temple. 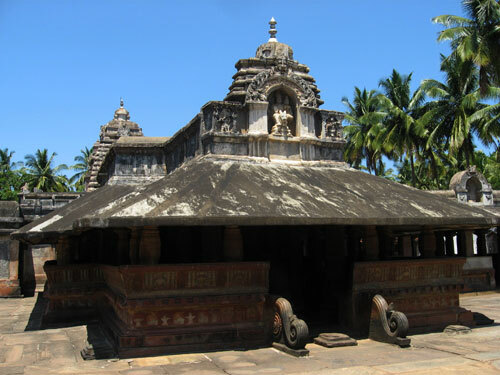 The place has its own spiritual as well as historical significance. Murudeshwara Temple and Raja Gopura: This temple is built on the Kanduka Hill which is surrounded on three sides by the waters of the Arabian Sea. 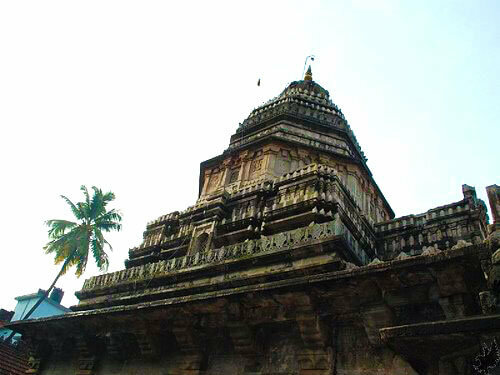 It is a temple dedicated to the Lord Shiva, and a 20-storied Gopura is being constructed on the temple. 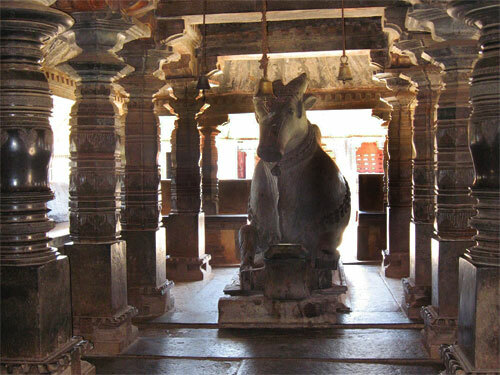 Two life-size elephants in concrete stand guard at the steps leading to the temple. The entire temple and temple complex, including the 249 feet tall Raja Gopura, which is considered the tallest gopura in the world, was constructed to its present form by businessman and philanthropist Mr R N Shetty. 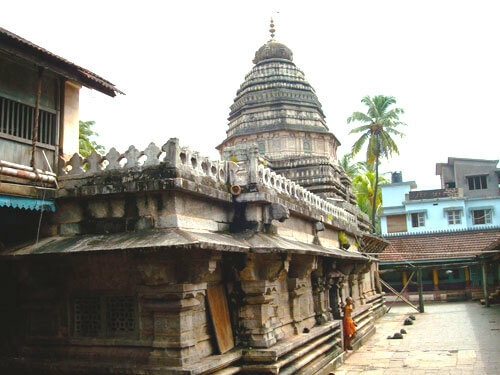 Statue of Lord Shiva:A huge towering statue of Lord Shiva, visible from great distances, is present in the temple complex. 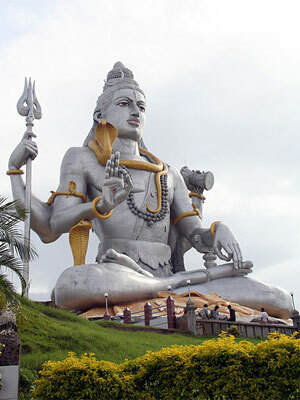 It is the tallest statue of Shiva in the world. The statue is 123 feet (37 m) in height, and took about 2 years to build. Financed by businessman and philanthropist Mr R.N. Shetty, it took around INR 50 million to build the statue. The idol is designed such that it gets the sun light directly and thus appears sparkling. 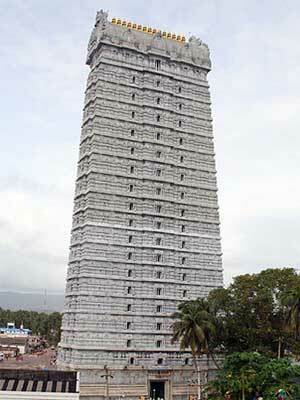 Murudeshwara Fort:A fort present behind the temple.